Charlena Russell is a multi-instrumentalist, singer-songwriter, creating electronic music with her loop pedal, vocal layers, electronic beats, violin, trumpet and ukulele! 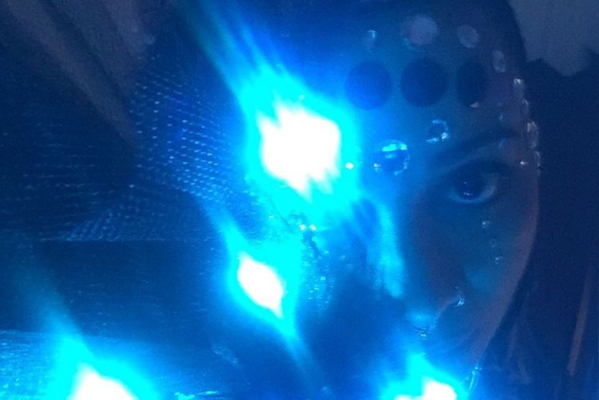 Live Performance: Charlena performs with video-projected images and a SOUND-ACTIVATED LIGHT SUIT that responds live to the music she creates! Debut Short Movie: This is an all ages show that will begin with the debut short movie about the making of the light suit. Purchase Tickets: at Amma Yoga and Russell Music Teaching Studios. Or donate via Charlena’s GoFundMe Campaign below! Ticket Sales support the production of Charlena’s next album! Special Thank You to the Region of Waterloo Arts Fund for financial support for the creation of the Sound-Activated Light Suit!